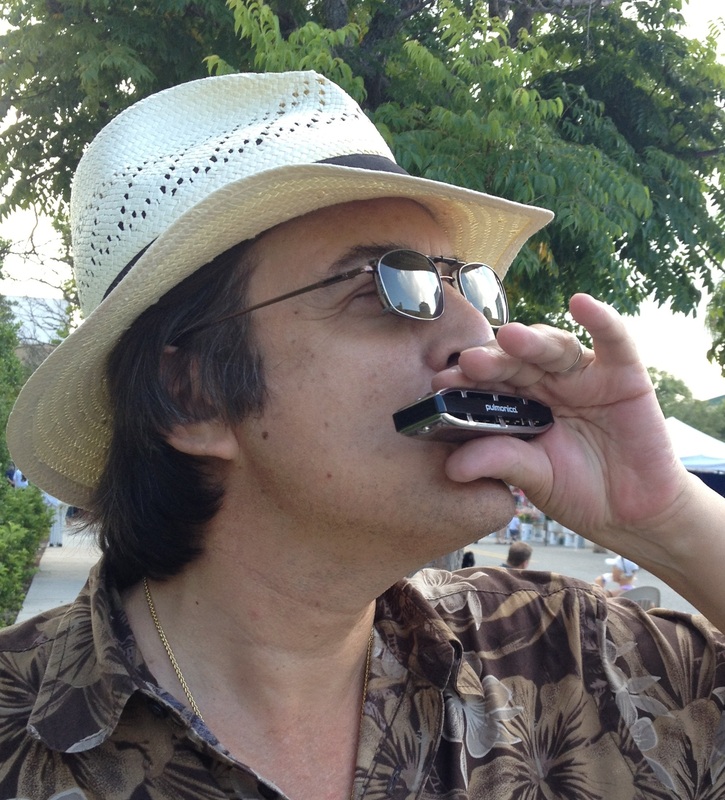 Sarasota COPD patients were the first to try the low-tuned Pulmonica pulmonary harmonica, and all of them improved their breathing. Before and after lung function testing and quality of life assessments showed remarkably consistent results. All nine patients improved, and 91% of pre-post test scores improved. After learning that a family member had emphysema, Dana Keller, PhD, and Mary Lou Keller, MS, blended their knowledge of musical instruments, physics, and anatomy to create the Pulmonica® – a pulmonary harmonica for nonmusicians that exercises the diaphragm and chest muscles to promote improved breathing. In addition, the special low tuning provides noticeable vibrations that help loosen lung and sinus congestion. After congestion is cleared, breathing is easier. To assess the effectiveness of this new device, the Kellers approached the Sarasota Senior Friendship Centers health clinic and met Dr. William Weiss, a volunteer physician who sees many of the pulmonary patients at the clinic. Intrigued, Dr. Weiss agreed to oversee a modified pulmonary rehabilitation program that would include the Pulmonica. From Jan to May 2013, nine volunteer COPD patients were asked to meet once a week for an eight-week program that included education from Dr. Weiss about COPD, diaphragmatic breathing, exercise, diet, and medication. All of the patients received a Pulmonica and instructions to inhale and exhale using long, slow, deep, and complete belly breaths on the lowest holes manageable for at least five minutes every morning and evening. Some of the patients used the Pulmonica for several hours each day, and their energy increased while their use of medications significantly decreased. Before and after lung function testing and quality of life assessments showed remarkably consistent results. All nine patients improved, and 91% of pre-post test scores improved. All of the patients credited at least some of their improvement to the Pulmonica. Detailed research results and testimonials are available at http://www.Pulmonica.com/Research. 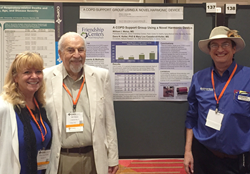 Dr. Weiss and the Kellers submitted the abstract of their study to the COPD Foundation conference, 'COPD9usa', and were accepted to present a poster at the biennial event. The abstract will also be published in the October 2015 issue of 'Chronic Obstructive Pulmonary Diseases: Journal of the COPD Foundation'. The Kellers have formed a Florida company, Harmonica Techs, to sell their patent pending respiratory therapy device, which is now available in the USA on Amazon.com and internationally through the manufacturer’s website, Seydel1847.de. The Kellers’ attendance at national harmonica and respiratory therapy conventions to promote the product has been met with an enthusiastic reception. 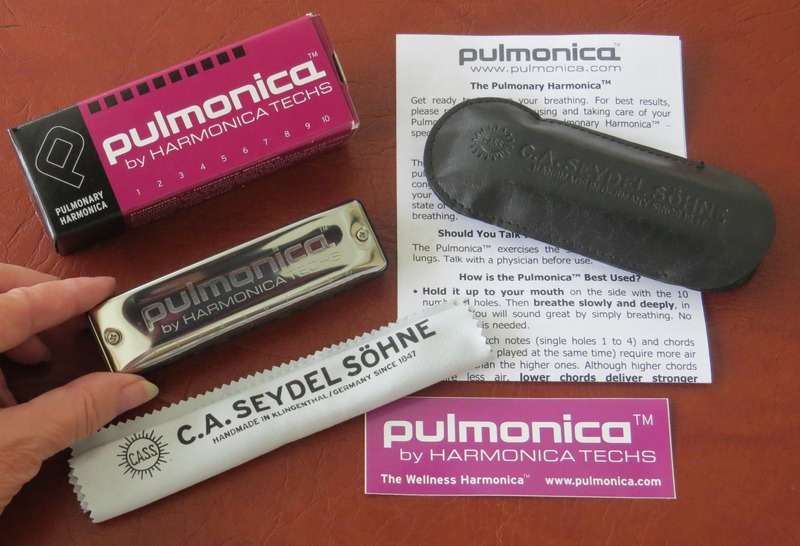 Harmonica Techs continues to donate Pulmonicas for COPD patients at the Senior Friendship Centers, and further research studies are in the pipeline. More information can be found at http://www.Pulmonica.com and at the Pulmonica page on Amazon.com, Facebook, or YouTube. The Kellers are available to speak to researchers and support groups and may be contacted through their website, http://www.Pulmonica.com, or by calling 888-382-9293. Dr. Keller earned his PhD in measurement, statistics, and policy evaluation from the University of Delaware, and his bachelors from Tufts University. He is a nationally recognized healthcare researcher and has served as the chief statistician for many quality improvement organizations and over a dozen national initiatives. He is the author of The Tao of Statistics, A Path to Understanding (with No Math), and The Tao of Research, The Path to Validity. As a musician, he plays the upright bass, harmonica, and pedal steel guitar. He has been a professional machinist, and retains a curiosity about how things work. He and his wife have a long history of entrepreneurial adventures. Mary Lou Casadevall Keller has a Master of Science degree in microbiology and a long career in marketing and education. In the past decade, she has authored or co-authored seven books, including five novels under a pen name. Holder of a patent for a waterproof cast liner, and sharing her husband’s passion for helping people improve their breathing, she is Vice President of Marketing for Harmonica Techs.